The attorneys at the Los Angeles law firm of Taylor & Ring handle civil litigation on behalf of seriously injured individuals throughout Southern California. Recognized for our precedent-setting verdicts and settlements in various high-profile cases, we have the ability and experience to pursue, manage and resolve personal injury cases with strength and sensitivity. David Ring is a nationally renowned plaintiff’s personal injury trial attorney and has obtained multi-million dollar verdicts and settlements on behalf of seriously injured individuals and families who have lost a loved one in a tragic accident. Robert Clayton is a partner at Taylor & Ring. He has successfully represented clients in catastrophic personal injury actions in federal court and throughout the State of California. His practice areas include wrongful death, premises liability actions involving dangerous conditions on public and private property (including many structural failures), products liability, vehicular and mass transit accidents, scalding/burns, assault and battery of customers by security guards, and sexual abuse/assault cases. Louanne Masry is a partner at Taylor & Ring. She specializes in cases involving serious personal injury, wrongful death, elder abuse, nursing home neglect, sexual abuse, products liability, civil rights, employment law and medical malpractice, including birth injuries against negligent hospitals and doctors. She has litigated a diverse collection of cases over the years. James W. Lewis represents plaintiffs in cases involving sexual assault, sexual abuse, traumatic personal injury, motor vehicle accidents, amputations, brain injuries, burn injuries, wrongful death, premises liability and product liability. James is a fierce advocate for his clients while being sensitive to the trauma and pain they are experiencing. Natalie Weatherford focuses her practice on catastrophic personal injury and wrongful death litigation, as well as representing both children and adults in sexual harassment, assault, abuse and misconduct cases. Natalie has been instrumental in obtaining many large verdicts and settlements. Brendan P. Gilbert primarily handles cases involving serious personal injury. Most notably, he served as lead counsel on a personal injury arbitration in which liability and damages were disputed, and obtained a near seven-figure award for the plaintiff. Sonya Ostovar focuses her practice on employment law and personal injury, as well as sexual harassment, assault, abuse and misconduct cases. 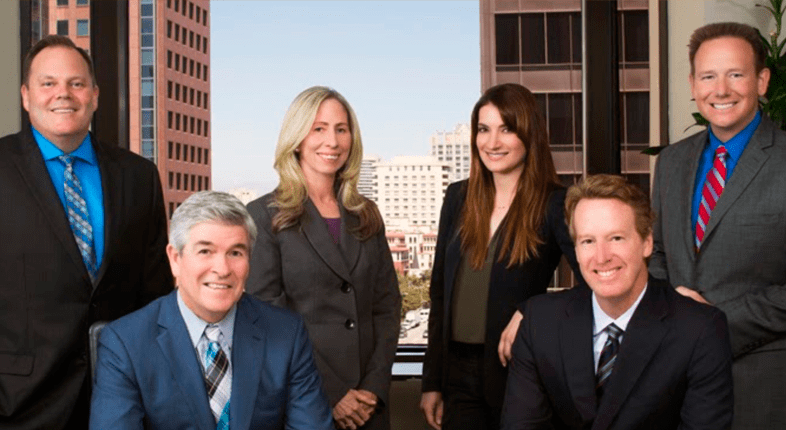 Our experienced lawyers are active in professional associations and have earned many accolades from the legal community, such as selection in Southern California Super Lawyers and Top 100 Trial Lawyers. To learn more about the accomplished lawyers of Taylor & Ring, visit each lawyer’s individual profile or contact our Los Angeles office. We are available to answer your questions by calling 310-776-6390 or filling out our contact form. Trust the attorneys of Taylor & Ring to provide you with honest and aggressive representation.